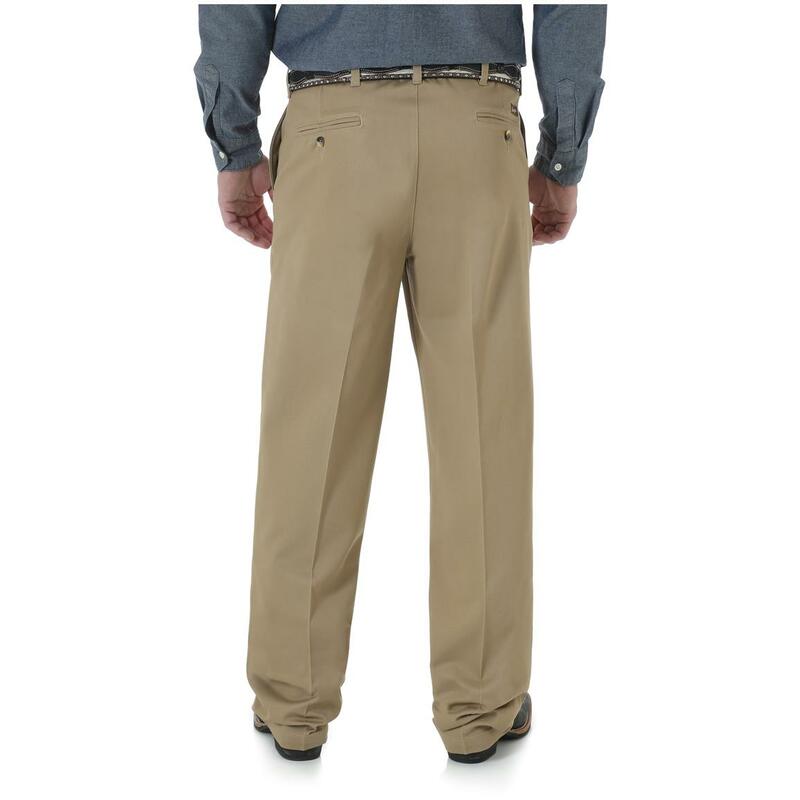 With wrinkle resistance and stain repellence, these Pants keep you looking sharp for work, church, or Sunday dinner at mom's. Comfortable. Handsome. Yours. Order today! Wrangler Riata Flat Front Relaxed Casual Pants is rated 4.1 out of 5 by 26. Rated 5 out of 5 by grindermonkey from I am buying another three pairs. I wear this daily. Rated 4 out of 5 by Tall than average. from Discontinued?? My son is 17 and wears a 34/38 pant. I was able to find these pants last year for him, but now can't find them anywhere. 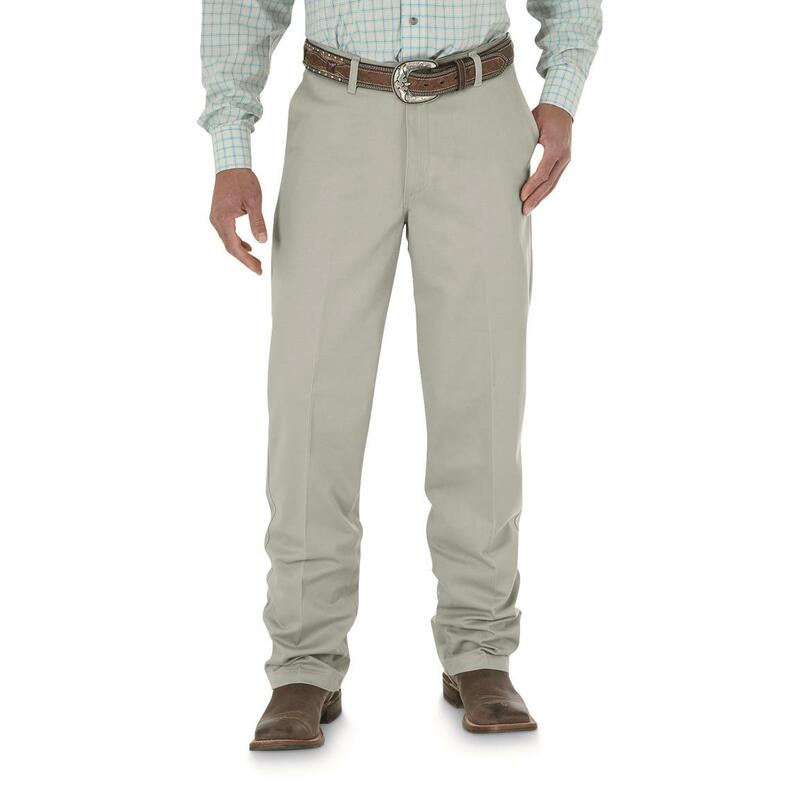 his school requires khaki style pants and wrangler no longer has a supply that will fit him. Very disappointed since these are so comfortably for him. 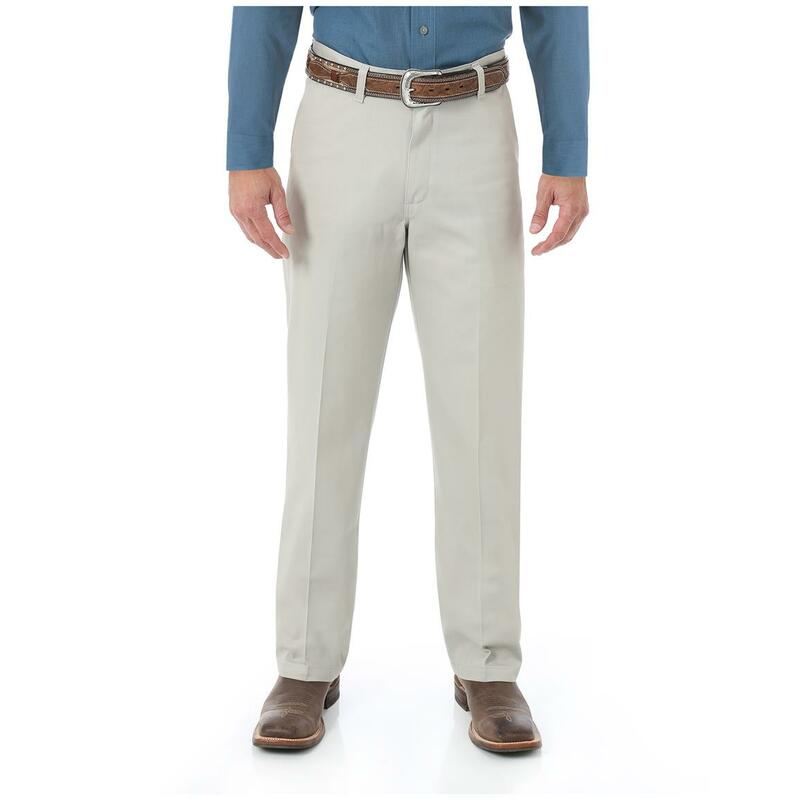 Rated 1 out of 5 by mc hammer from mc hammer I reviewed the product and said that the legs on these pants (29x34) are huge considering the waist size. 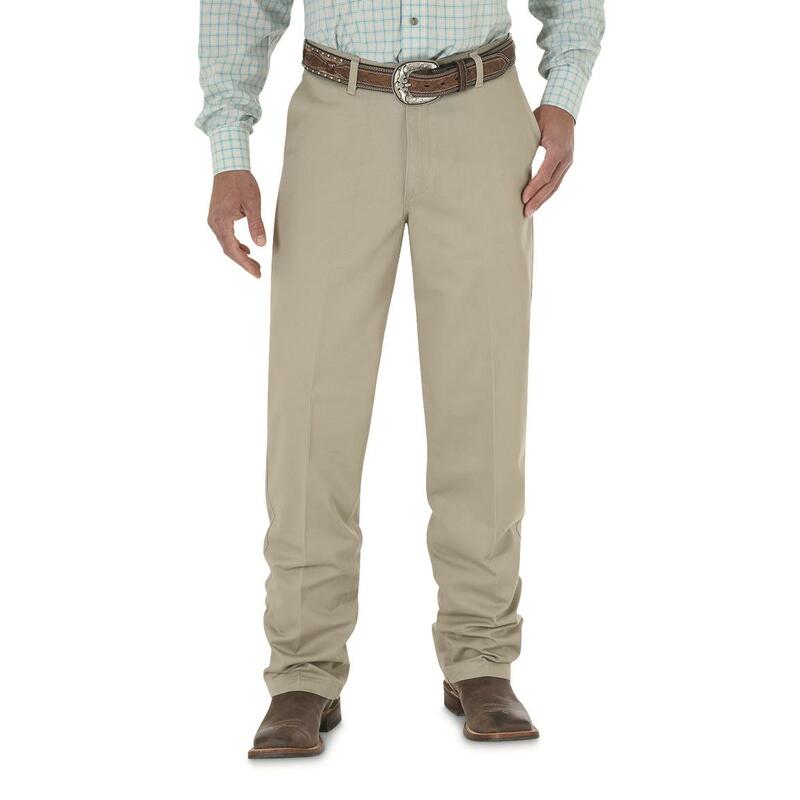 Wrangler responded by saying they make straight leg or slim fit flat front pants. This is true, but not in 29 waist. 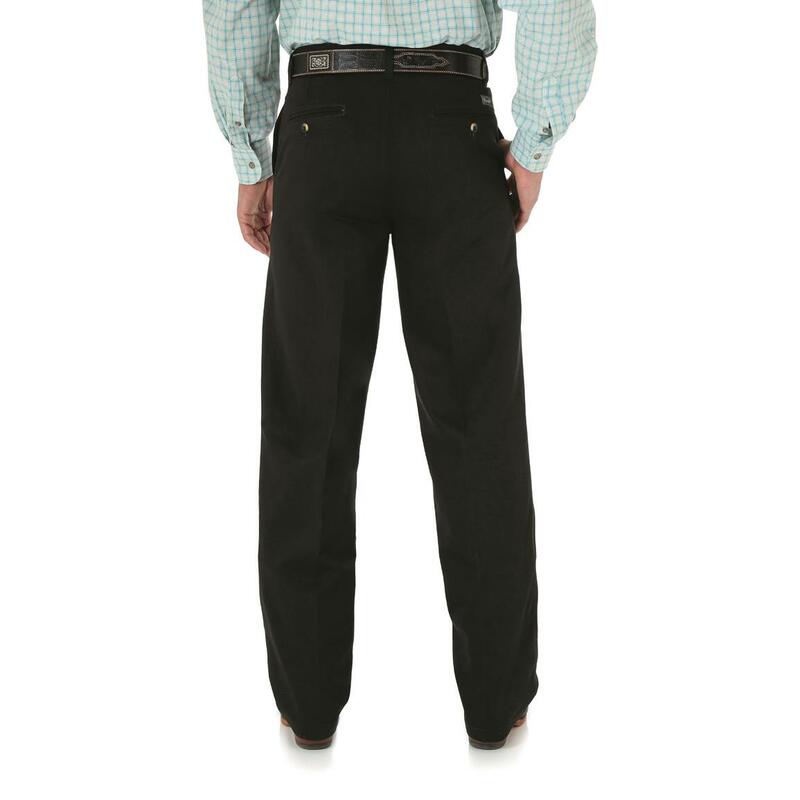 These are the only flat front pants in a 29 waist other than the old pant polyester pants. 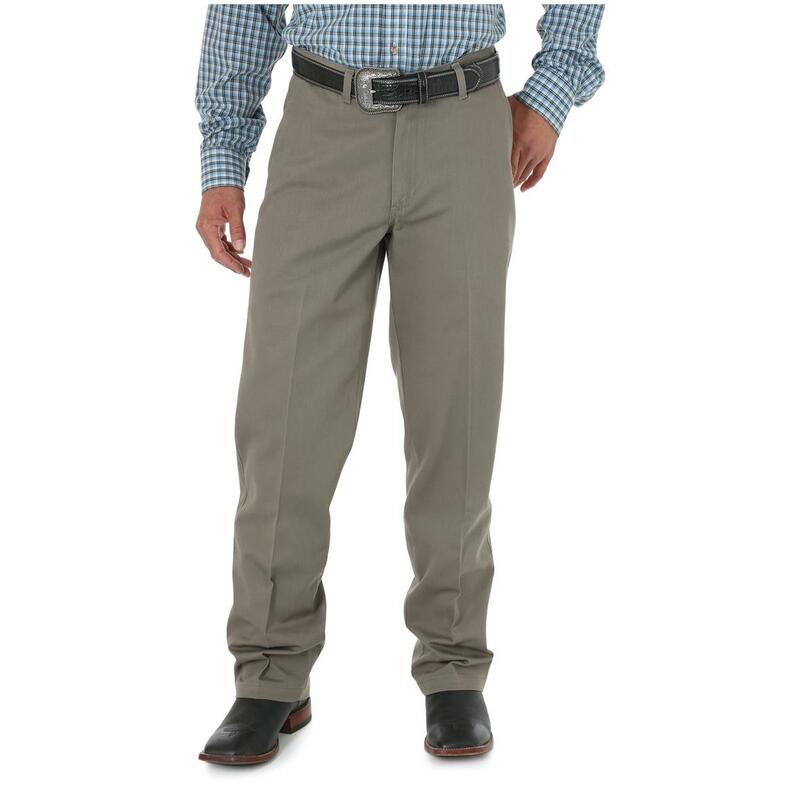 There are no flat front pants other than relaxed fit with huge legs in a 29 waist. Know your products before you post a reply. 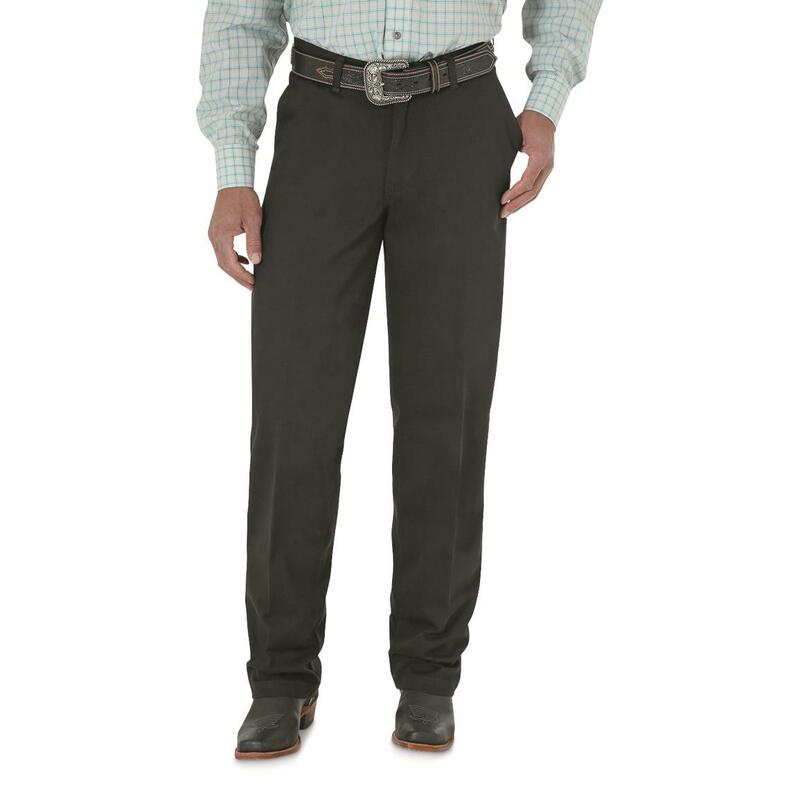 Rated 2 out of 5 by Disappointed from MC Hammer A 29" waist size should not have the leg size that of a MC Hammer pant! I compared these with an old pair of pleated Riatas. TWO INCHES bigger in the leg all the way down to the hem. What's up with that? 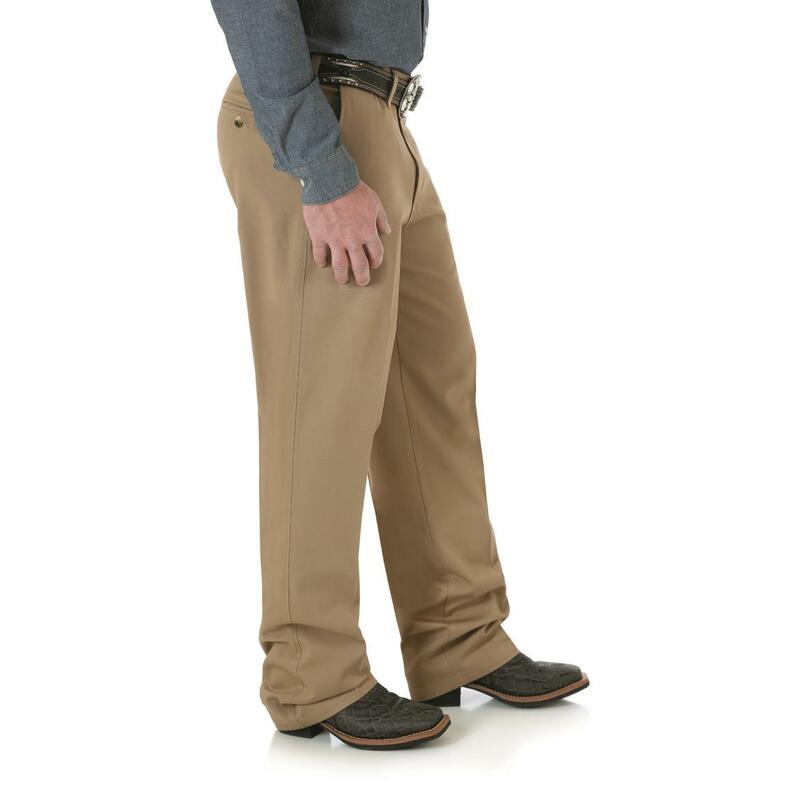 Who wants a bell bottom style khaki? 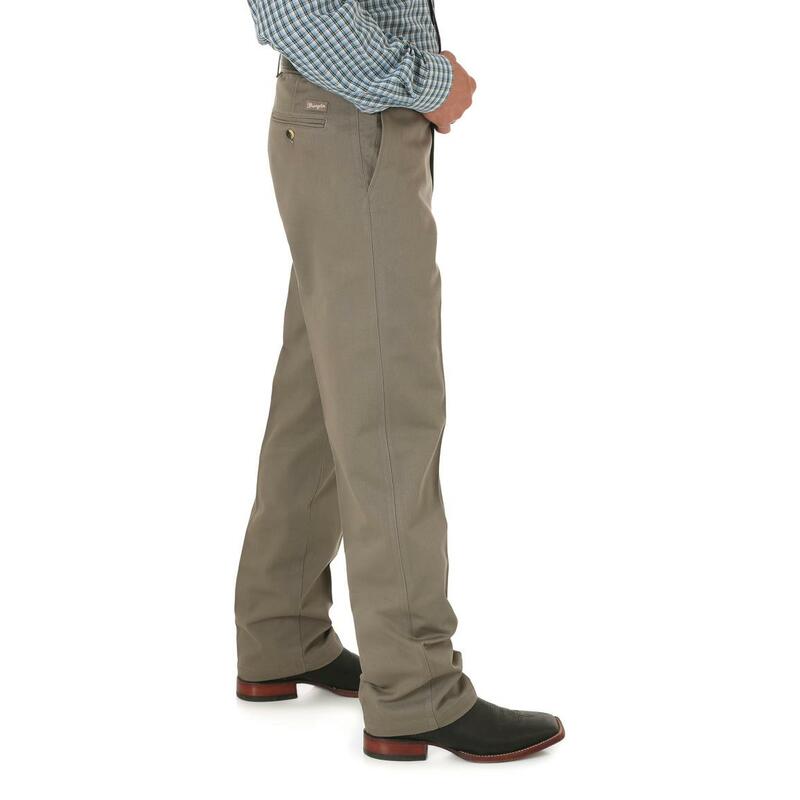 Not every pair of pants needs to be relaxed fit especially if it's a FLAT FRONT! Make something for customers who aren't fat! Rated 5 out of 5 by Timmy Joe from Flat Front Riatas. 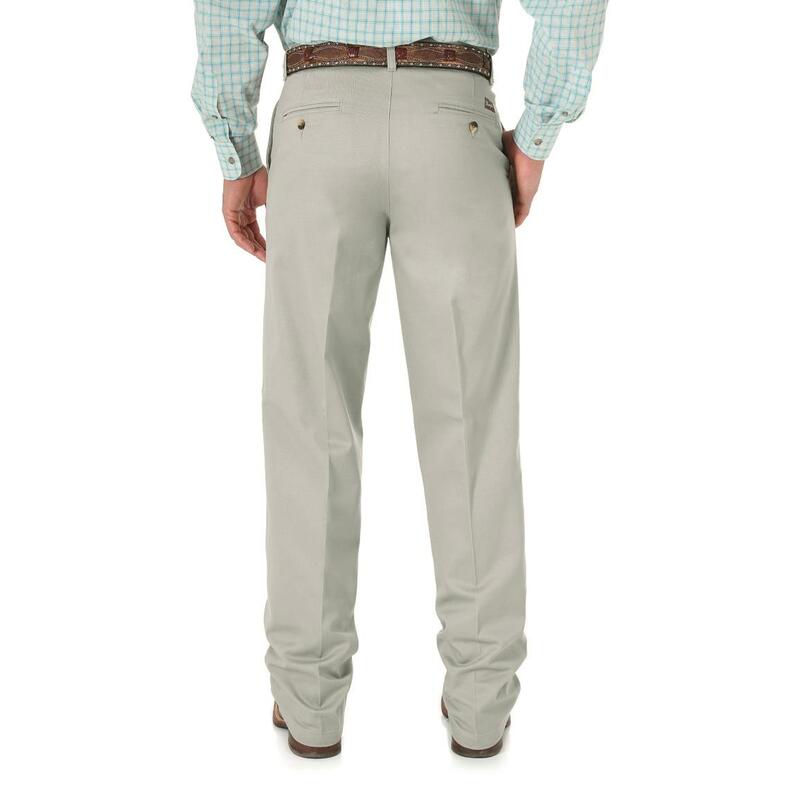 Good pants for casual wear. Rated 2 out of 5 by KM from Way too wide My son wears 28"w x 34"l pants. These were extremely wide in the leg for him. They should decrease the width for skinny people! Returned. Rated 5 out of 5 by Predictable from Definitely buy this again. 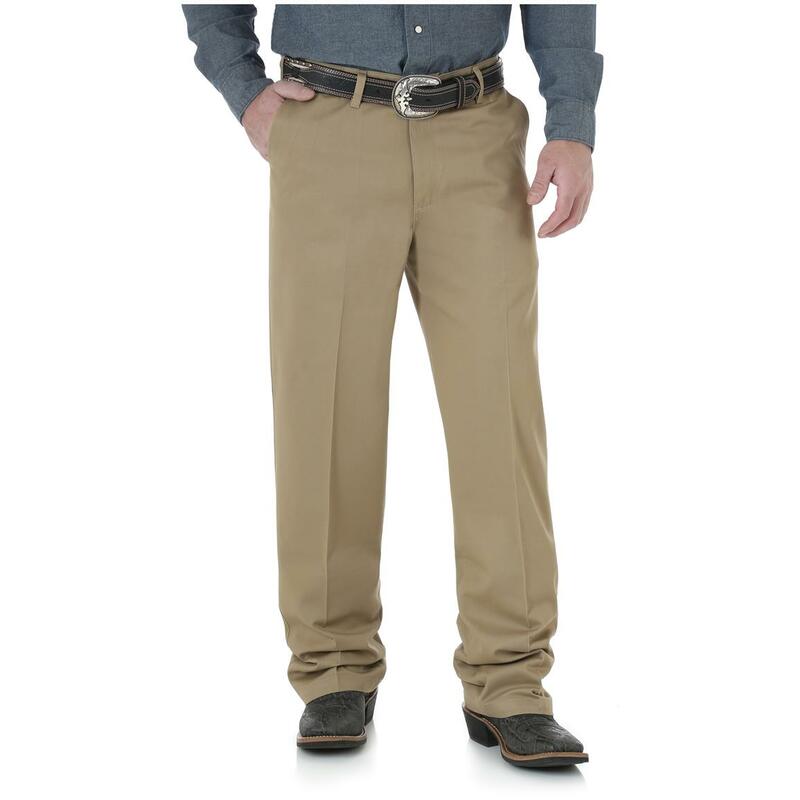 A great pair of casual pants. Looks good, comfortable, and very affordable. A great buy. Runs Bigaria-label="A rating of 1 means too small, a rating of 5 means too big, a rating of 3 means true to size. This items average rating is 3.1.